Last week a school near me suffered a social media mishap involving its students. This, an increasingly common byproduct of our day, unfortunately catches many a school by surprise. So I received this call: "Help! Can you come to our school to give an "Internet Safety" presentation? And can you keep it to under an hour?" "Help! Can you come to our school to give an "Internet Safety" presentation? And can you keep it to under an hour?" Given the deficit of time and resources at most schools today, this "solution" to a social media or Internet incident is understandably commonplace. But the problem is that if you ask for an "Internet Safety" presentation that's only an hour long, chances are you're going to get a talk about the "Big 3": Cyberbullying, Online Predators, and Sexting. While I suppose addressing these topics in an hour is better than doing nothing at all, I believe it is mistake to teach students about serious issues like these in a silo. It would be like teaching them how to drive by focusing solely on car accidents. Reputation Management. Do your students know how to be proactive managers of their "digital footprints"? Do they (this includes adults and students) even know what a "digital footprint" is? Do they know it's how future friends, employers, and college recruiters will likely judge them? Do they understand that their "footprint" includes not only what they post about themselves, but also what others post about them? This includes when they are "tagged" by friends and/or followers. It also includes all those baby pictures mom began sharing years ago. Online Privacy. Personal information is the currency of our day, and understanding how, why, and when to give it away is important knowledge for students. So ask yourself how much your students know about the Privacy Policies they agree to before joining all those social networks they use. Online Relationships. Do the adults in your community set boundaries and expectations that help students experience positive online relationships? Are students being taught how to avoid and/or prevent cyberbullying, sexting, online predators or other negative and potentially dangerous online relationships? Do they know how to be "upstanders" if and when they (and they will) observe others being treated cruelly online? Does your school provide information and help to students who experience cyberbullying? Has your school advised students how to handle a request from another student for a "nudie" (a not uncommon occurrence by the way). Do they know what to do if they receive a sext message? Online Security. 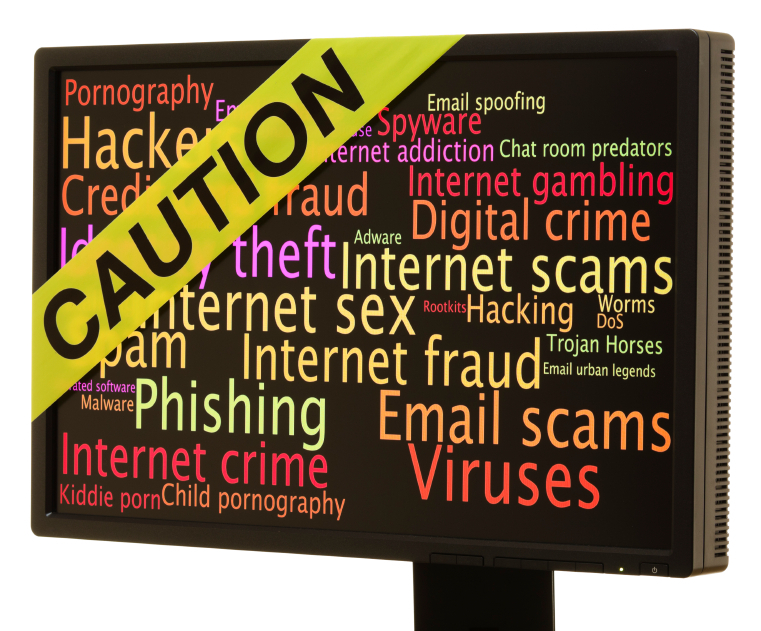 Are your students savvy about identity theft, viruses, malware? Do they know how (and why) to create strong passwords? Have you taught them how to recognize and what to do in the event of a phishing attempt? Ethical Decision-Making. Since nearly every online action requires ethical thought (i.e., "Should I post an embarrassing photo of a friend? Or download a movie I haven't purchased"? ), young people should be practiced in making ethical decisions online and off. Most children can't even engage in ethical thought until 12 years of age or later; do your parents know this and thus keep their children from using social media until then? Are your students taught how and why to avoid possible illegal activities like plagiarism, copyright infringement, or hacking? Time Online. What about setting healthy limits and expectations for media use? Is your community familiar with the American Academy of Pediatrics' media use recommendations for children? Do they know how much time the average student spends online? (Hint, it's a lot more than the AAP's recommendation.) Does your community have agreements in place that cover how and when devices should be used in school? Are your students taught how to manage their own time online? Information Literacy. Do your students know how to use search tools and do online research? (This is more than just "Googling," by the way.) Do they know all about Copyright, Fair Use, Public Domain, Creative Commons? Can they explain how Wikipedia works? Can they appropriately cite online sources and do they know how to avoid plagiarism? Media Literacy. Does your school teach its students how to critically evaluate media? Do they know how to spot on online scam, tell if a website is credible, or evaluate a news source for its veracity? Proactive Participation. Are young people taught how to create media? Do they use their devices to blog, make videos and music, create stunning presentations, maybe even code? Do they participate with others, connect with those who have common interests, assert their civic voices? Problem Solving. Do students know who to turn to if, and when, problems arise? Are administrators, counselors, teachers and/or parents in your community adequately prepared to deal with potential problems? Have students been equipped with skills to look out for one another online and avoid problems in the first place? I don't know about you, but I want my children to know about ALL these things. They're equally important and integral to how they will live their lives as engaged digital citizens who will most likely use their connected devices far more than they will use their cars. I shouldn't have to make a choice between the topics above, and neither should you. Support a brand new organizations called the Coalition of Digital Educators (C.O.D.E.). It's mission is to promote digital citizenship through education about the responsible, respectful, and safe use of technology. The National Association for Media Literacy (NAMLE) is currently offering FREE memberships for students and individuals. This is a great way to add your voice to others who think this too important not to be taught in school. Find out how, by passing a new law, Washington State just joined a growing number of states advocating for digital citizenship and media literacy education in school--thanks to the hard work of Media Literacy Now. Learn more about, and attend, a Digital Citizenship Summit near you. Don't just wait for others around you to take action, talk to your children today about any or all of the topics above. Chances are you will both learn something.